Being in a car accident is a very difficult situation on a number of levels. Your pain is sometimes secondary to the aftermath of having your car at the mechanic. Then there is the stress of dealing with your insurance and potentially missing work. While you are in a hurry to get your car fixed and back to normal activities, make sure to see us before you make any major decisions. There could be underlying injuries that a minor stiff neck is not allowing you to uncover. A car accident is a major event and the trauma that comes from them could be significant. 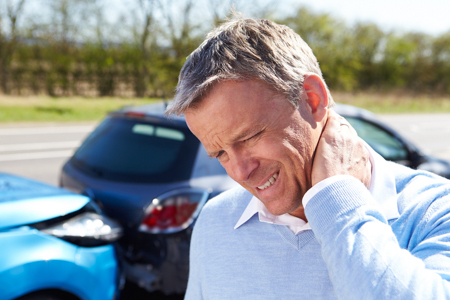 Dr. Clyde Zerba and Dr. Lucas Zerba are Chiropractic Specialists in both the care and prevention of injuries occurring from motor vehicle collisions. They know how to treat soft and hard tissue problems. The doctors have found success treating crash victims with symptoms such as whiplash, back pain, migraines, headaches, and jaw and muscle pain. We work very well with your lawyer and are willing to wait for payment until your case is settled. If you don’t already have an attorney, we will be glad to make a recommendation. Make sure you call us at Inline Chiropractic to get a complete examination.